Nokia has finally unleashed the cat out of the box after several months of speculations. 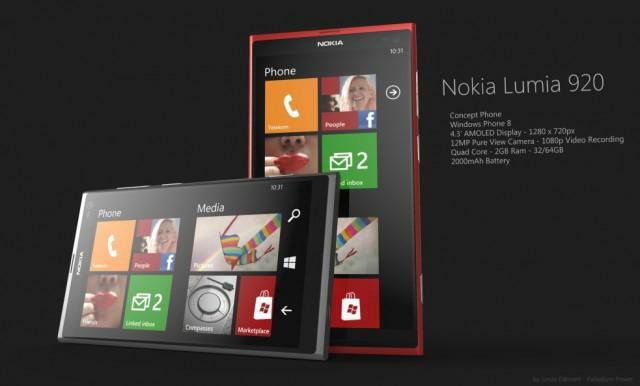 Now, the Nokia Lumia 920 Windows Phone 8 doesn’t disappoint and will probably be the successor of its flagship label. To highlight this phone from other super-phones, it features Qi Standard wireless charging. We are about to witness if this technology will be a game-changer for Nokia. And when we say Windows Phone 8, we mean Live Window tiles, turn-by-turn navigation using Nokia Maps service and a native Internet Explorer 10 browser. Another brilliant feature is the adaptation of “Pure View” into an 8.7 MP snapper, which they dubbed to be the best camera on a mobile device courtesy of Carl Zeiss. Other notable features are Nokia Music which lets you stream and download music, screenshot capability and NFC sharing. Nokia Lumia 920 will be in Red, Yellow, White, Gray and Black hues with polycarbonate unibody.